Raising a family requires a decent home for you and the kids. The family needs modest housing that’s comfortable and sturdy enough to withstand different weather changes. One inexpensive solution for a comfortable dwelling place is the double wide trailer home. These homes are prefabricated and sold ready-made to accept occupants. 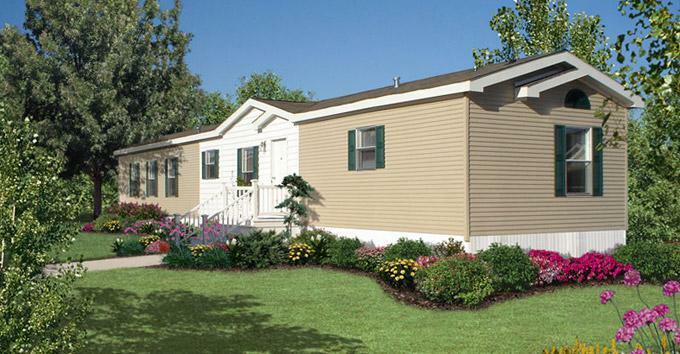 Also known as static caravans and mobile homes, double wide homes are delivered on site in two components. These two parts are then joined and installed by the delivery crew so you’re presented with an instant house in a few. Double wide trailer homes offer several advantages with the obvious one being affordable. Mobility, ease of installation and less waiting time are also the other benefits of a mobile home that has made it so popular in the US. It is definitely a practical and easy alternative for the person who wants an instant house to live in. Double wide home owners essentially get a decent form of housing while saving some money for the family’s future. Double wide home sizes vary but the average size is 20 feet wide and 90 feet in length. The layout also differs depending on the mobile home manufacturer. A double wide mobile house usually includes a living room, a kitchen, a dining room, 2 to 3 bedrooms and 2 bathrooms. Single wide and triple wide units are also available depending on your needs. While these homes were built to be movable, 95% of them are usually left on their original location. Mobile homes are simply traded in or sold to new owners when their original owners don’t need them anymore. Less resale value – Don’t expect to earn money when you decide to sell your old mobile home. These homes have a lesser resale value as compared to regular homes built from the ground. Less durable – The fact that these homes are cheap must mean something, and that is, less durability. The materials used for these homes are good but not that strong to be able to withstand hurricanes and tornadoes. If you’ve heard of a house flying due to a recent tornado, there’s a great probability that the house being talked about is a mobile home. Less Insulation – Mobile homes can get very hot during the summer and likewise get very cold during the winter. These homes are not well insulated so you will probably need to spend for air conditioning and heating systems to keep the family comfortable with extreme weather changes. Not sound proof – The neighbors shouting, the sound of a woodpecker and many other types of sound can be heard when you’re living in a mobile house. It is therefore best to live in these homes when you’re in a remote location. A double wide home may not be for everyone, but many families in America live in these homes. Double wide trailer homes can do especially if you’re on a tight budget and don’t plan to live in the area for long. You can even bring your mobile home with you when the family decides to move to a different location. You spend less initially and use the money saved for other things.